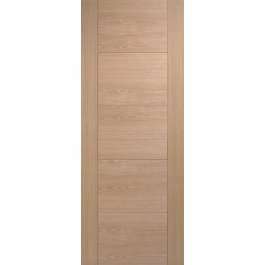 35/40mm engineered flush non-fire rated internal door - vertical grain stiles and horizontal central grain Oak veneer with 5mm vertical and horizontal v-grooves creating a flush 5 panel effect door design. Supplied factory finished in clear satin lacquer. Available in standard imperial and metric sizes with 10 years manufacturing guarantee. Contemporary stylish door with sleek lines creating a sophisticated yet elegant design. 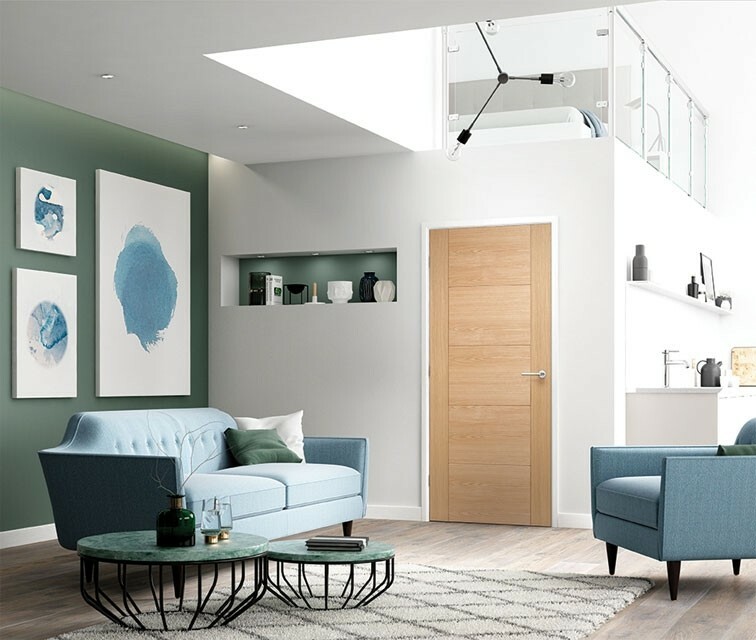 This fully finished door is available in a large range of models including FD30 fire doors as well as non-fire and FD30 clear glazed doors in four different design options .